The betta fish is one of the common household fish pet to keep. It is loved because of its attractive colour and dexterity. However, they are as lovely as they are aggressive and territorial in nature. They tend to wane off other fishes that they see as a threat or competition and such fight can even lead to death especially when in enclosed spaces. For that reason, it is more advisable to rear the betta fish in solitary or at most provide a large tank so that it and other fishes can leave separately and far away from each other. Take note also that the male specie is known to be more aggressive than the female and should be reared separately, only allowing them to cohabite briefly for mating purpose. 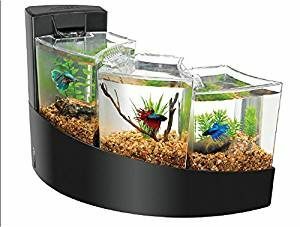 Size: Because betta fish require adequate space to swim in, a large tank of two or more gallon capacity is advisable; especially when intending to keep two or three betta fishes. But if you’d rather rise more, then a bigger tank is advisable as this will ensure better health, water quality and activity for them. 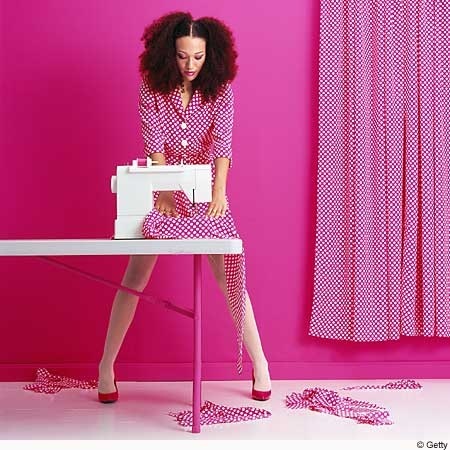 Shape and design: This factor corresponds more to your taste and need. It has to do with the aesthetic quality of the fish tank as it suits your home décor. Examples include round bowls, bow front tanks, tanks with dividers, Zen looking tanks, advanced “bio” tanks, etc. 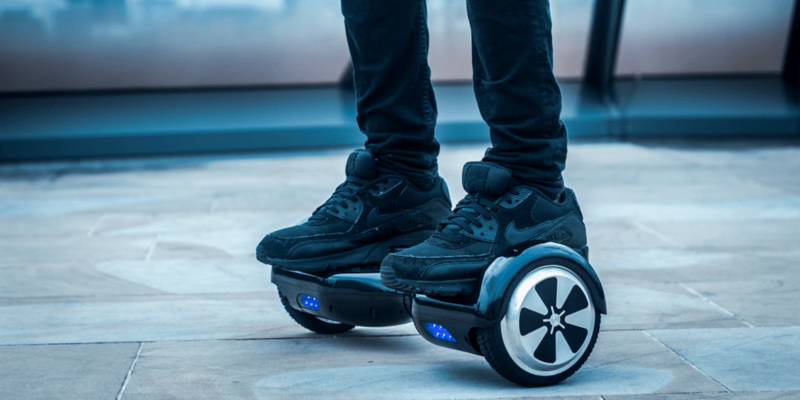 Having known the behavioral tendencies of betta fish and their fish tank needs, this part of this article would dwell on review of some fish tank brand especially as it suits the needs of the betta fish. It should help you to make informed purchase. Get fascinated by the beautiful décor and aura this starter kit aquarium from Marineland offers. 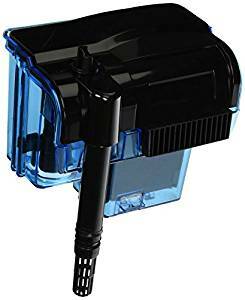 It is built with hidden filtration to keep the water healthy and clean plus a LED lightning and relaxing moonlight glow; your betta fish will thank you. 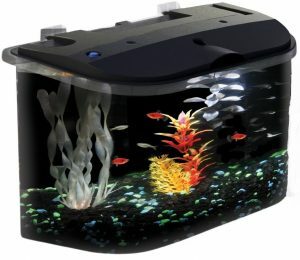 Its transparent and rounded corners allow you a beautiful view of your fish from many sides. Product dimension: 11.8 x 11.6 x 17 inches; 12 pounds. Shape Description: Curved glass aquarium. Lighting features: Bright white and blue energy-efficient LED light hinged for easy access to the tank. 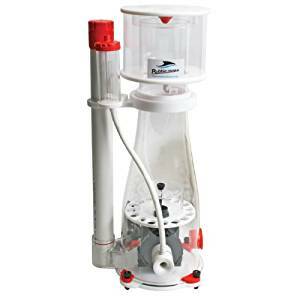 Accompanying kit: Marineland’s 3-stage hidden filtration; Rite-Size Z Cartridge; Marineland Bio-Foam, and an adjustable flow filter pump. Customers complained that the filter current is too strong for the betta fish to swim around. Most users had problems with the pump. Most users complained about crack in the aquarium which led to leakage and flooding. 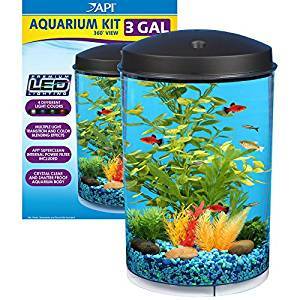 The 5-gallon API Panaview Aquarium Kit is designed for easy set up. The lighting and filtration come with the tank as such it is a perfect starter aquarium for beginners or advanced hobbyist. The instructions are also easy to follow. Product dimension: 14.2 x 10 x 11.5 inches. 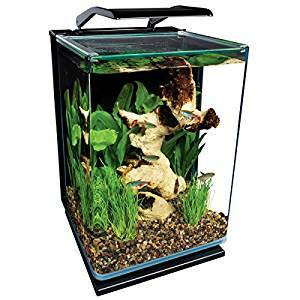 Shape Description: Flat-backed aquarium with rounded front. Other features: Superclean 10 internal power filter (45 GPH flow rate); Bio-Chem Zorb 10 filter cartridge; Seamless acrylic construction that is resistant to impact and child-friendly. Users complained that the hood led light becomes easily spoilt within weeks or months of use. Some users also complained about the filter not working properly and getting spoilt easily. Users also complained about the pump. The Aqueon kit betta is a sleek curved aquarium that is compact for a desktop. It is designed into three separate compartments to house up to three betta fish. What’s more, the frosted panel prevents them from seeing each other so they are safe as you are as satisfied. Product dimension: 16.9 x 11 x 11.4 inches. Shape Description: Three separate compartments; Cascading waterfall feature. Other features: Fill indicator window shows internal water level at a glance; Quiet Flow power filtration with filter cartridge; frosted panels. Most customers complained about the death of their beta fish after purchase and use of this product. The waterfall feature is an issue for the betta fish as the current disrupts its activities. Most users complained that it is loud. The tank units are rather small for betta fish which are known to enjoy space for their activities. This aquarium is easy to setup and a perfect start from beginners and advanced hobbyist. It also comes with great features to make your experience wonderful, these include: the 7-color led light, filters, full hood with cleaning port etc. Product dimension: 10-1/5 x 10-1/2 x 10-1/5 inches. Shape Description: Cylindrical shape for 360-degree view. Lighting features: 7-color LED lighting (amber, aqua, blue, green, purple, red, and white. 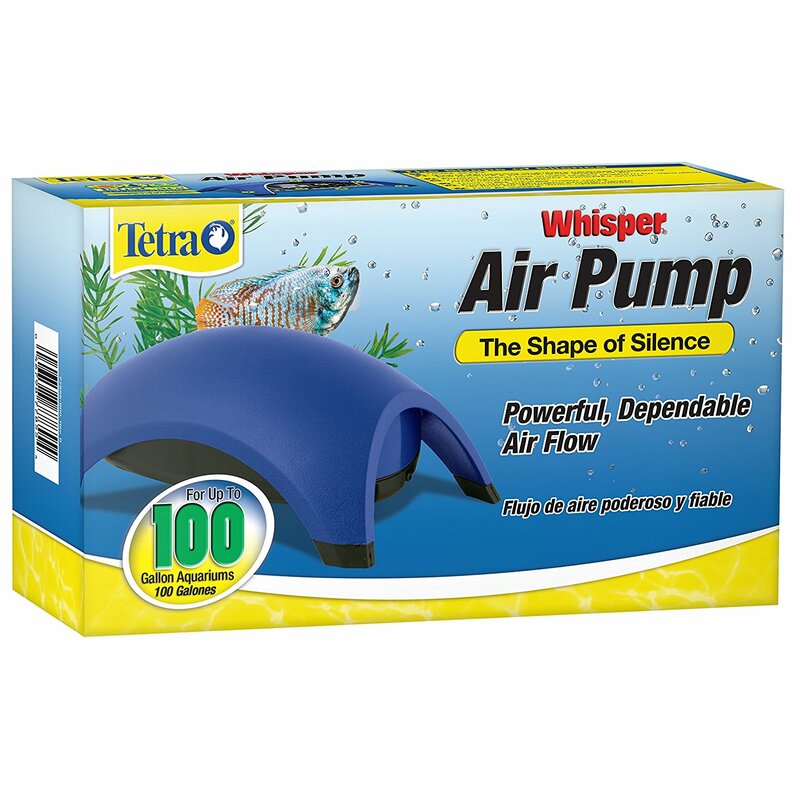 Other features: Superclean 10 internal power filter; Bio-Chem Zorb 10 filter cartridge; acrylic construction. 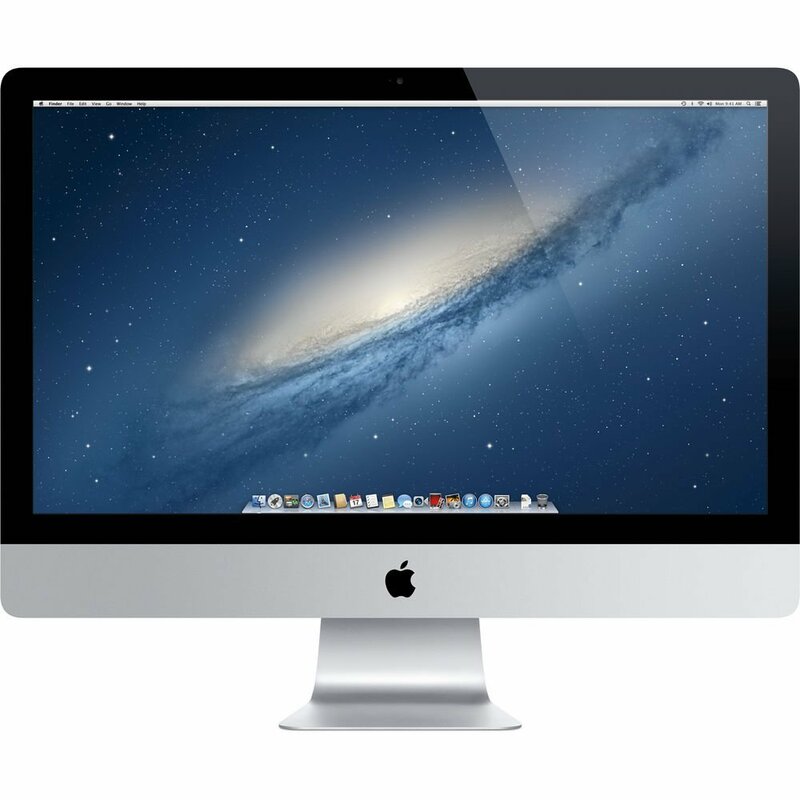 It does not come with pre-installed heater, so users have to purchase it separately. Customers complained of faulty pumps. 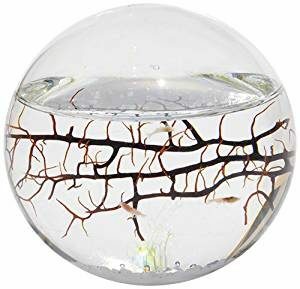 Unlike aquarium, the EcoSphere is a completely closed and balanced glass ecosystem. 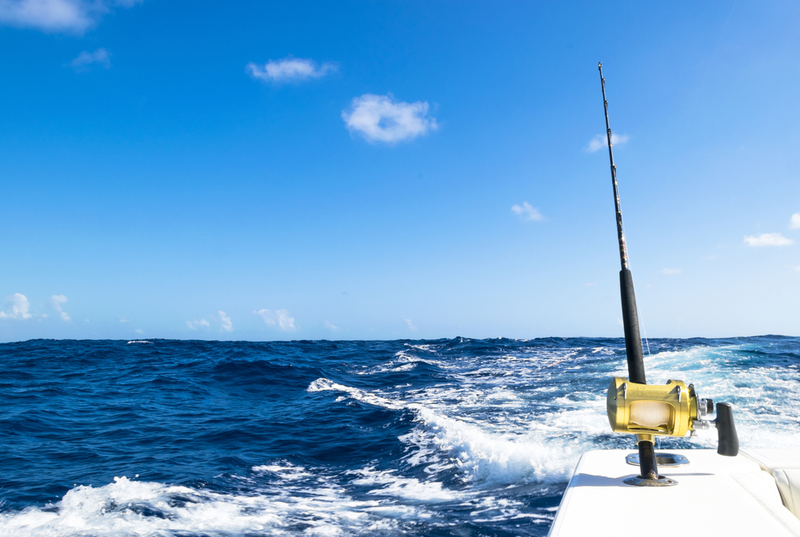 It contains shrimp, algae, and microorganisms in salt water. It has everything it needs to grow (The shrimp consume the algae and micro-organisms and they, in turn, break down the shrimp waste) so you don’t have to feed the life within, or change the water. All it needs is a comfortable room temperature (between 65 and 80 F) and a source of light. Product dimension: 4 x 4 x 4 inches. Lighting features: None needs external light to function. Other features: Ecosphere handbook, outer and inner cleaning magnet for cleaning round the spherical glass. Can prove a little difficult getting it to be stationary i.e. sit on a surface since it’s spherical. Most customers complained that all the shrimps die one after the other overtime. The warranty on the product does not cover the glass, only the shrimps and for a specified period of time. 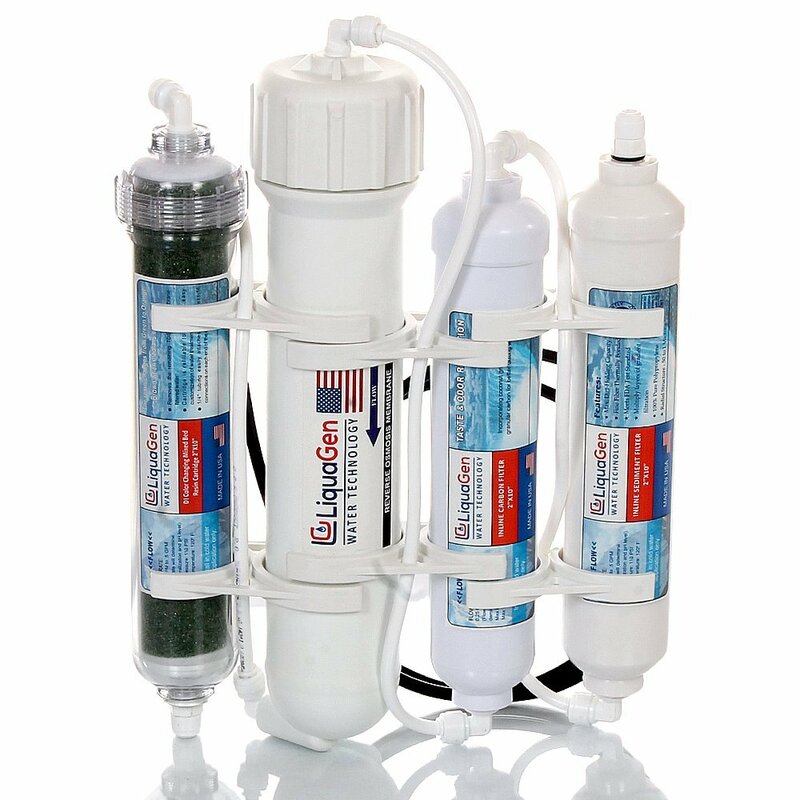 Also read about on how to find the best fish tank filters here. For lovers of beta fish, this write up has been able to provide information on the best betta fish tanks that are good for your fishes. We also discussed the criticism given by customers who have used the product. All this should help you make an informed purchase.